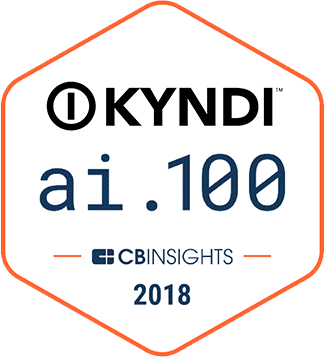 Kyndi’s proven Explainable AI™ solutions make people and organizations 100X smarter, 100X faster. We enable enterprises and government agencies to transform regulated processes by offering proven, auditable AI systems. Managing risk effectively – by using technology to analyze text, derive insights and identify signals from the noise -- can provide significant competitive advantage and enhance organizations’ performance. Managers involved in risk, audit, compliance and quality assurance are increasingly challenged with handling large volumes of unstructured data – the kind of information that does not fit neatly into structured rows and columns and is hard to analyze. Organizations need to quickly understand anomalies and potential issues in order to anticipate and proactively manage risk. By utilizing Kyndi’s Explainable AI technologies, the system can uncover patterns or links that a human could never connect given the volume of data or can triage the data in order to prioritize the most relevant information. In that way, humans can prioritize their time to focus on the most relevant issues as well as identifying ways to mitigate risk in a proactive approach versus using the issues as lagging indicators. Use cases around risk assessment include evaluation of data integrity and other quality issues and reviews of Corrective Action/Preventative Action (CAPA) audits in the pharmaceutical industry and fraud detection in the financial services sector. With the proliferation of content, we are now far beyond our ability to process and find everything that is important to us. Every day, we inevitably miss valuable data points and insights as well as critical knowledge. Information across organizations or even within organizations, are not easily shared because of use of jargon, different terms that mean the same thing or the same terms that mean different things. The volume of information available is overwhelming – more than anyone has time to read. The data of interest is buried in this information. The way data is presented makes it hard to “connect the dots” regarding trends and relationships. As a result, text information languishes in data repositories and is not effectively utilized. Kyndi’s Explainable AI is the solution to this problem. Our software excels at understanding and extracting meaning from your internal data sets, especially text. Importantly, Kyndi’s technology provides contextual answer to your natural questions and extracts a suite of signals from text to provide you with in-depth insight and can help you to discover knowledge in your data you didn’t even know was there. Scientists and researchers in the pharmaceutical industry can use this capability to leverage prior research and learnings to gain significant efficiency in the drug discovery process or provide the edge in investment analysis. Preventing attacks or anticipating threats – such as new information about people, places or organizations and their connections – is critical to preserving long-term competitiveness, be it a technologically advanced military or intelligence organizations. Domain experts and analysts analyze and disseminate value-added information to anticipate and prevent these surprises. Strategic thinking and informed planning fosters foresight – developing ideas about what plausible futures might look like – to support an organization’s long-term objectives for strategic direction and threat management. The volume and breadth of information – hundreds of thousands of pages published and collected every month – make it difficult and time-consuming to leverage all of the data and nearly impossible for analysts to make sense of it all. As a result, essential information is missed, and opportunities and threats go undiscovered. Kyndi’s technology allows your threat assessment process to be dramatically better by integrating disparate data from information silos at scale. By having the system search this information at high speed, human analysts can now spend the majority of their time on qualitative research and quickly take action on the insights they discovery. Data is secured so that information can be processed across data models and classification levels while managing privacy, civil liberty and data handling policies. Robotic Process Automation (RPA) has taken the world by storm by easily automating repetitive task that include highly structured data included in data like order forms or billing statements. Intelligent Process Automation (IPA) enables more complex tasks to be automated by analyzing text. Text or unstructured data create significant workflow inefficiencies across enterprises. McKinsey’s Global Institute measured the impact of those inefficiencies as $3 Trillion dollars. Including free form text analysis, whether email, reports or research, this data and automation capability becomes a critical part of any Digital Transformation toolkit for enterprise organizations. Kyndi’s Explainable AI software can be used in conjunction with RPA tools such as UiPath, Automation Anywhere or BluePrism, to build bots that analyze text and automate inefficient workflows in industries such as Insurance by analyzing medical records for class action lawsuits or understanding drug interactions for pharmacovigilance applications. The ability to quickly analyze text across multiple domains provides a significant differentiator for Kyndi’s approach. In addition, Kyndi’s ability to allow normal business users the ability to understand the why behind the answers, provide an efficient approach to address these complex challenges.